Kicking off from where I last left, after the Devonport OTU Continental Champs, it was nice to settle into a solid little block of training at home, back in God’s Country on the Northern Beaches, starting Autumn with some big swell around and the weather gods on our side!! 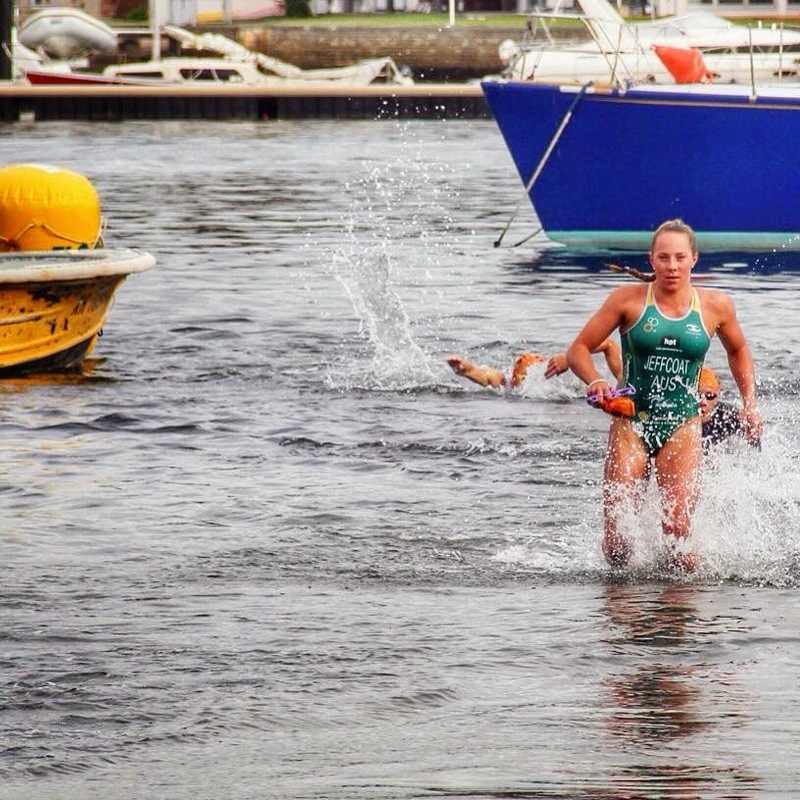 I had a fun little weekend racing, using it to sharpen up on some skills leading into the next few big races, with the annual Richie walker Aquathon run by Cronulla Triathlon club, on Saturday the 28/4/15 and the Freshwater Barney Mullins 1.5km Ocean Swim on Sunday. 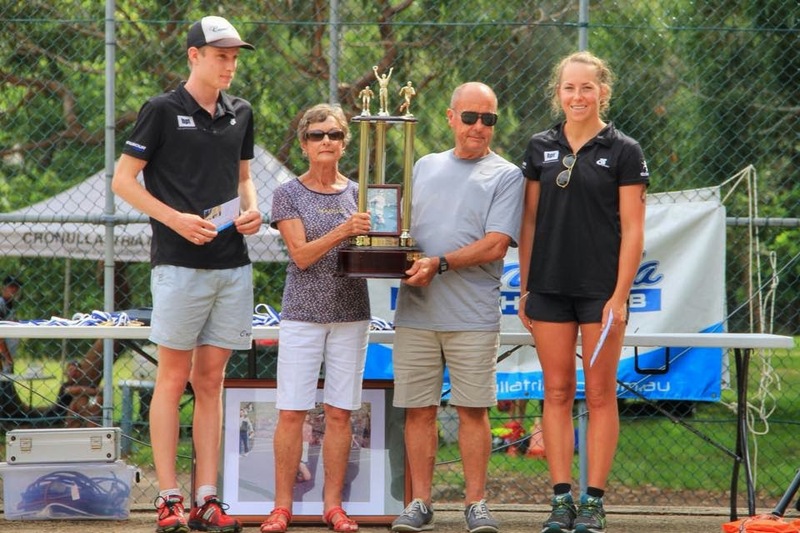 The Richie walker Aquathon had its 29th anniversary, an event that holds a strong legacy left by Richie with the work of his parents and the club, who would have been 50 this year. 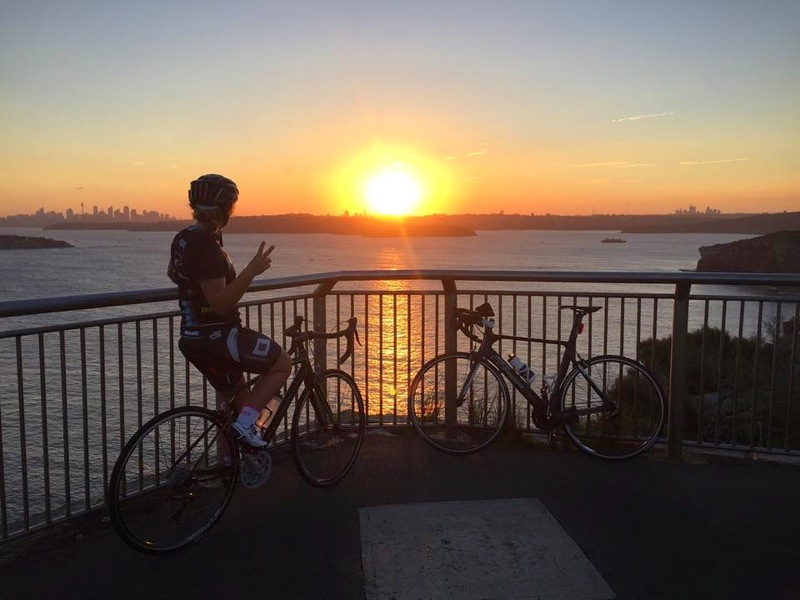 He tragically passed away from a heart attack while racing in a triathlon event while only 21 years of age, a blunt reminder for everyone to be aware of their heart health!! 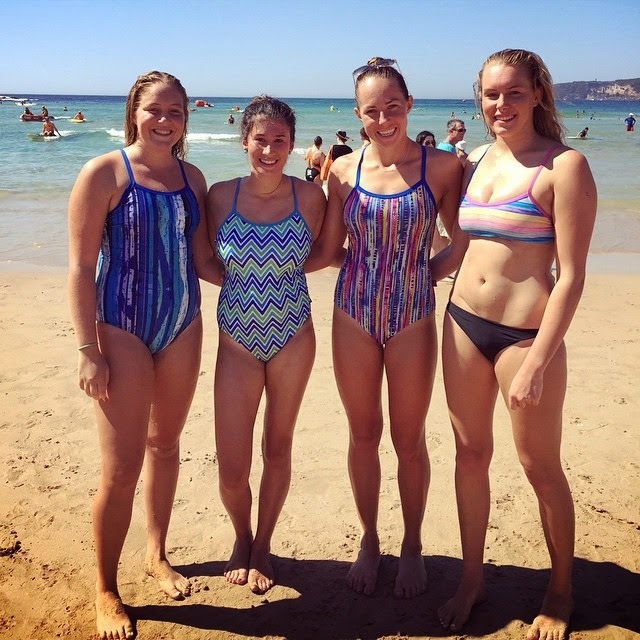 Sunday's 1.5km Ocean swim race saw a perfect chance to show off my favourite Catfish Designs Swimwear with some good friends down at the race! A well run even, it was great to push the pace with the boys, and get back into the surf for some ocean racing. The week flew past with some solid training sessions, my first week of uni (100% attendance... that won’t last…) catch ups with old friends, food dates (not all on my lonesome.....) mixed in with the usual acupuncture, chiro and Physio and a beautiful fat horse to be ridden! 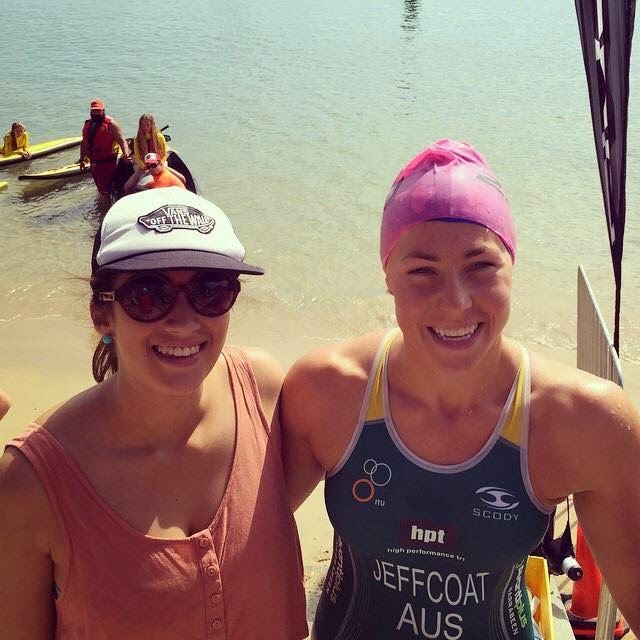 I headed down to Wollongong Saturday morning for the Wollongong OTU & National Elite Sprint Championships on Sunday. A place I’m coming to know very well, without any complaints! 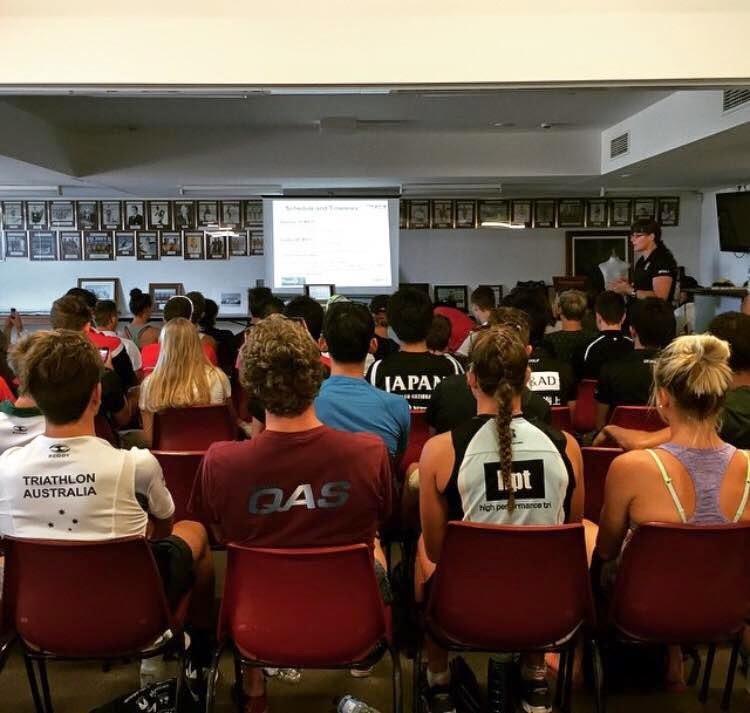 Elites briefing ran quick (yahoo), and then followed the usual pre race prep set, crust pizza yummo, and a good movie, this time Mrs Doubtfire was on TV, look no further than the cherished Robbie Williams. 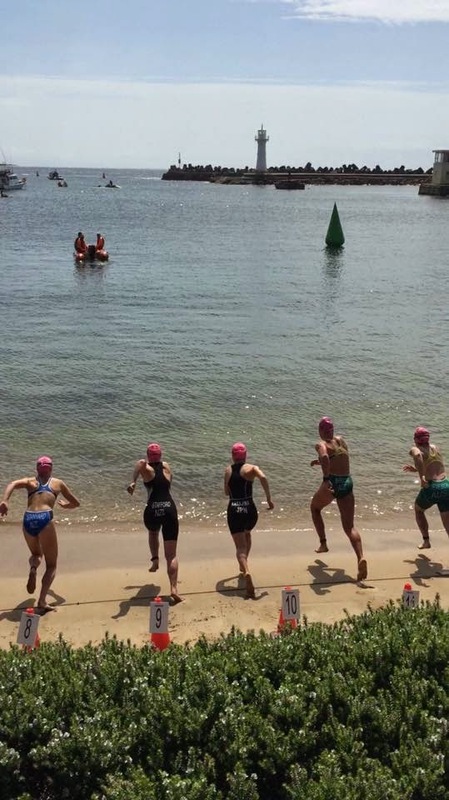 Race day saw a 10.30 am start for the Elite men and a 11.30 am start for us women, with the course taking over the harbour side streets of Wollongong, over the sprint distance; 750m/20km/5km. Fast and furious, with little room for errors! Race start time and the swim went off quick as it always does with the likes of superfish Danielle De Francesco! I got settled in and lined up with the first buoy, a little off Dani. Turning the last buoy leading what was to be the lead pack of 5 girls going out onto the ride behind Dani. With a long transition it was out onto the bike course; 3 quick laps with a tough hill and decent each lap up just to add a bit of fire to the legs! Our front pack soon merged to be 6; 3 Aussies, 2 Canadian and a Hungarian. The pack was charging with lots of chat ... some Yelling... and everyone was clear we were there to work hard and not let the big chase pack make up ANY ground on us! By the third lap we had about 1:20 on them, from around 50 seconds to start with! Off the bike, with a speedy t2, & it was off onto the 1 lap run along the water edge before hitting the dead grass, with sky divers landing around us (.. umm me please). The legs felt like they were dead heading out on that run course, but I didn't get disheartened and put it aside and just kept tapping away. Aiming to hold the gap that had emerged between me and the other girls ahead, with the 2 Canadians; Kretz & Brault, taking off like a rocket on the start of the run. As the run progressed, I found my legs and they found their rhythm, and I was in for a battle on the way home to make up some time on the girls ahead. A line dad had sent me a few weeks earlier popped into my head and did its job to help finish off a tough hit out! 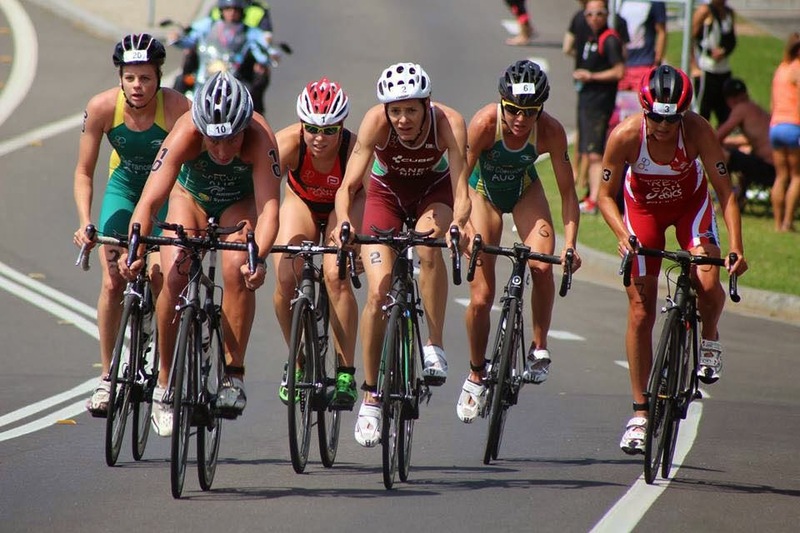 Overall I finished 5th across the line in the Oceania cup triathlon, with the first 3 spots going to the Canadians, Kretz & Brault and then Vanek the Hungarian rounding it out, before the first Aussies Nat van Coevorden came across in 4th. 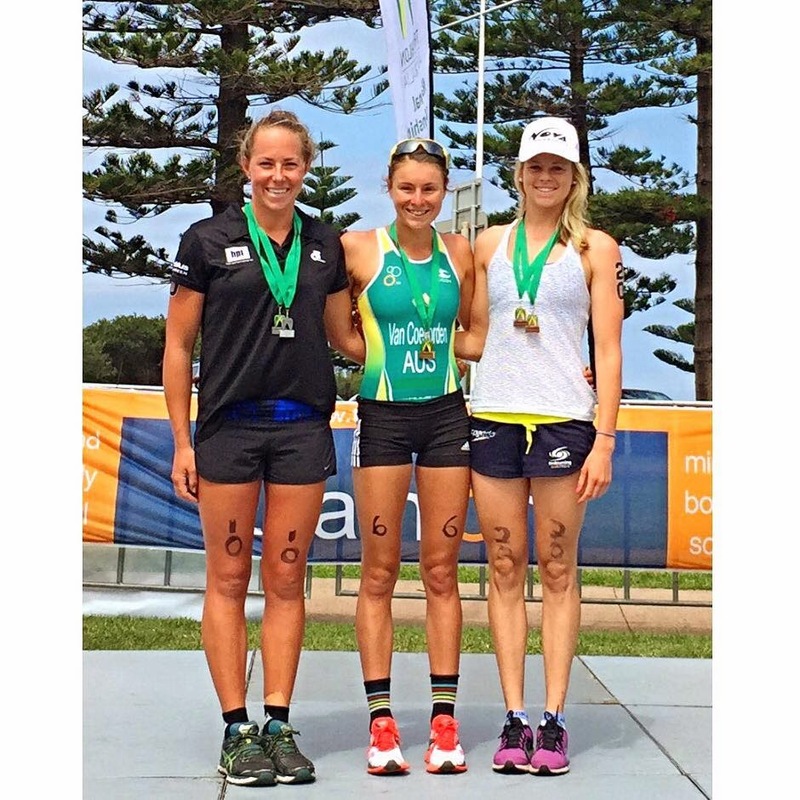 As the OTU Conti Cup Race doubled as the Australian Elite Sprint Championships I had earned myself a Silver Medal in the Australian Sprint triathlon championship as well as a silver In the U/23 Aussie sprint championships. I was over the moon to be the second Aussie home and get up on that podium, whilst being able to share it with such a great friend, Tanya!! No better feeling than walking away after a race with a bunch of pride, growth, lessons learnt, and confidence built, all ready to put into action for the next one! 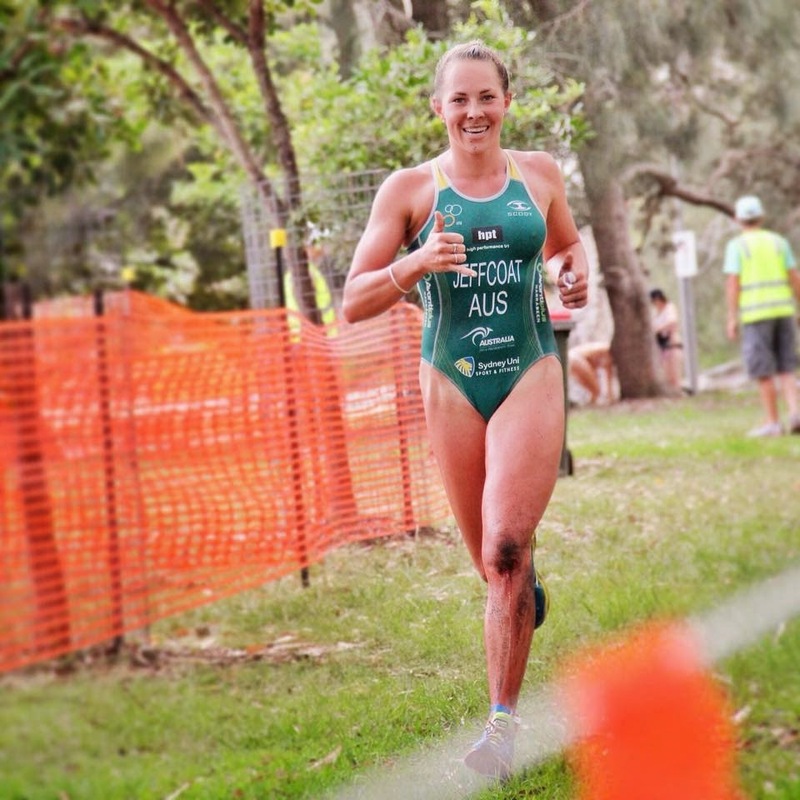 A few days to reset and turn around before it’s off to Mooloolaba for the OTU continental cup event up there, an Olympic distance race, the second for the season! No doubt it will be hot, humid and extremely tough as Mooloolaba always is, but I couldn't think of too many nicer places to spend a long weekend racing than the Sunshine Coast, with beautiful family friends to catch up with and getting to take my gorgeous “Supa” mum away with me for her first race away of the domestic season!